Early registration has discounted fee of PHP 2,000 or USD 46. Buy 10 and get 1 ticket free. Regular registration fee of PHP 2,500 or USD 60. 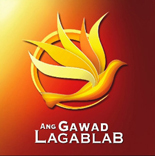 The 7th Gawad Labaglab Awards will be held on the 19th of November 2011, Saturday, 6pm at the Centennial Hall of the Manila Hotel, Intramuros, Manila. Tickets are available at php 1500 for alumni and php 2000 for non alumni. For tickets, please call the PSHSNAA office at 468-6717. You can also buy tickets at the event.